I never wear make-up except during those very few occasions where I needed to paint my face a decent hue in order to look presentable. Unlike my sister who have mastered the art of painting faces, I usually have to struggle with the eye liner, mascara and eyeshadow. The only thing that I never fail to put on is my red lipstick. Eversince college, I have this thing about red lipstick. I’ve always felt that I am ready to take the world as long I am wearing red on my lips. This is like my perk up everyday, my happiness in a tube. I carry this notion that the only thing that I need to look good and feel good is red lipstick. Call me weird but I feel bare and vulnerable without my red lipstick on. I am currently using two shades of red lipstick. Revlon Super Lustrous Lipstick in Certainly Red which is in Matte so I usually put a lip balm on top to keep my lips moisturized. I have been a fan of Revlon since college. I like how they stay on for hours and how they don’t crack on your lips as the shade fades even without putting on balm. I am also using Bobbi Brown Lip Color in Burnt Red. My sister is a huge fan of Bobbi Brown and she gave this to me when she came home recently. I love its orangy red shade. This is matted also so I put on lip balm with it too. In between Revlon lipsticks, I use Maybelline’s Moisture Rich Lipstick in Red Wine or Very Cherry. I like that it has that moisture component already and it is very cheap too. If you ask me what my fashion statement is, I would probably say, forever red lips drama. Stessed or not, sick or well, as long as I’m wearing my red lipstick on, everything is right in my world. Wow! Natawa ako sa sinabi nung tao. Hahaha! But that was one scary moment ha. Ingat !! ..same here, I don’t wear make ups..but only during special occasions. nyahahaha!! loko lokong tao..sya pang binigyan, sya pang ganun mang-asta..LOL! hahaha that’s scary and funny at the same time! Love red lipsticks, too! 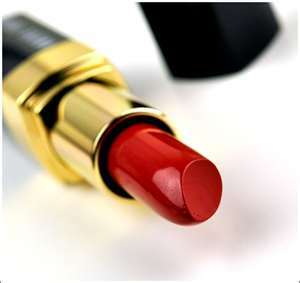 My dream red lipsticks are from Chanel and Guerlain! Compared to you, I’m rather shy to wear red lipstick. I think it’s just too loud. Not unless I’m really going for the glam look. Haha! To each his own, I guess. I also love red lipstick, but I tend to stick to the mauve side of red. However, I do carry RED! by Red Apple Lipstick in my bag, just in case the need arises. All girls should have at least one red lipstick in their collection! It makes you amazing philosophy and it will change your life. Get holds animal ingredient free products! thanks for this wonderful post. Lips are a important when it comes to personality.